She has attempted to commit suicide two hours ago. I read on her blog what was her farewell letter, and immediatly sended a text to my best friend, who lives with her. She answered "I know. The ambulance is here." So I called. She did it. Again. The hospital wasn't good for her. Overprotected. She felt assaulted by the world when she got out. And I remember that, with Mar., we talked about that a few days ago. Mar. was saying she knew she'd do it again, but had no ideas when. Every time she got mad at her, she felt guilty and took amend for it, apologized so she would not do it. I told her not to get too angry, not to tell her exactly how she felt, because she would eventually feel responsible if she committed suicide. And that's what she did. Or attempted to do. Now she's at the hospital, I guess. There's nothing I could do, nothing I could've done. But still. I feel indirectly responsible. Like, maybe if I commented on her blog, or accepted her friend request on facebook, maybe it would have changed things. How egocentric of me to think that I could've changed things. But, as always, I believe in the Butterfly Effect. Now I wonder how she's doing. How she's gonna live knowing that she attempted suicide. Again. How her ex-boyfriend is gonna react. She was supposed to go spend a couple of weeks in New York. I guess it's compromised. She's gonna need psychological support for the next month or more. If only she had know postsecret. 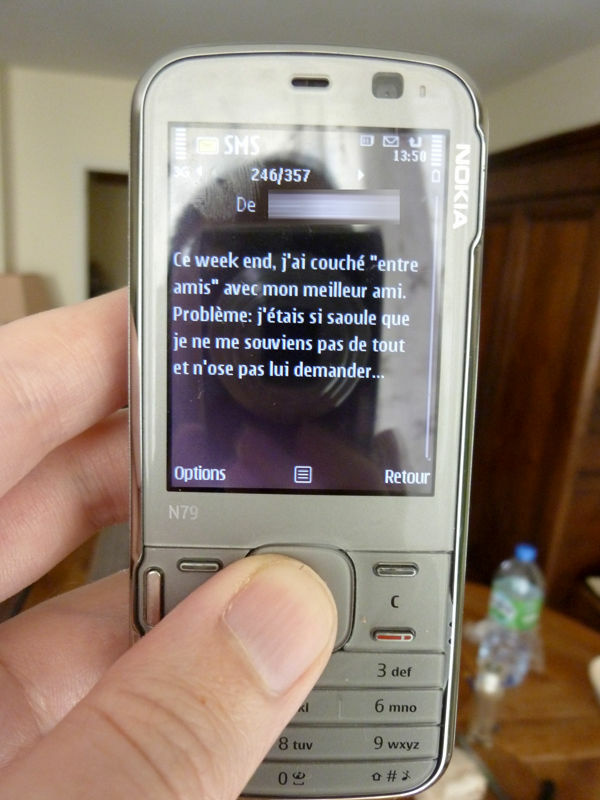 If only in France, that kind of suicide-helpline existed. Hope she's doing better know. You don't have to feel responsible for that. it's not your fault, no matter what you've done or not, you do not push her to take pills (or whatever she used to attempt it). Bonjour j'aime beaucoup ton blog, j'aimerais savoir si tu envisages de continuer ton histoire de Paris,c'est toi la butte, j'aime beaucoup cette histoire je la trouve très bien écrite et j'aimerais connaitre la suite. Dis tu débarques quand à Montréal ? (j'ai pas trouvé le "contactez l'auteur"
Un narcissisme blogguesque saupoudré d'une fine couche de dessin, et nappé de beaucoup de musique.